Tathastu represents wish come true but with full of consciousness. Wishes which we asked with our full consciousness and our conscious element works on fulfillment on that wish then it become Tathastu. Tathastu is a word from Sanskrit. It means “So be it”. “Aisa hi ho”. Why 26 January was choose for Republic day celebration? Do you know? 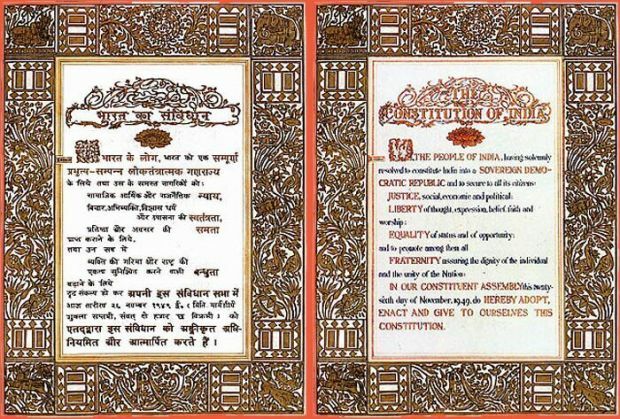 The Constitution was adopted by the Indian Constituent Assembly on 26 November 1949, and came into effect on 26 January 1950 with a democratic government system, completing the country's transition towards becoming an independent republic. What is a constitution? why do we need a constitution for a country? A Constitution helps serve as a set of rules and principles that all persons in a country can agree upon as the basis of the way in which they want the country to be governed. The constitution also spells out the ideals the citizens believe that their country should uphold. The Constitution of India provides its citizens with six fundamental rights. Recently, the Right to Privacy has also been added to the fundamental rights. 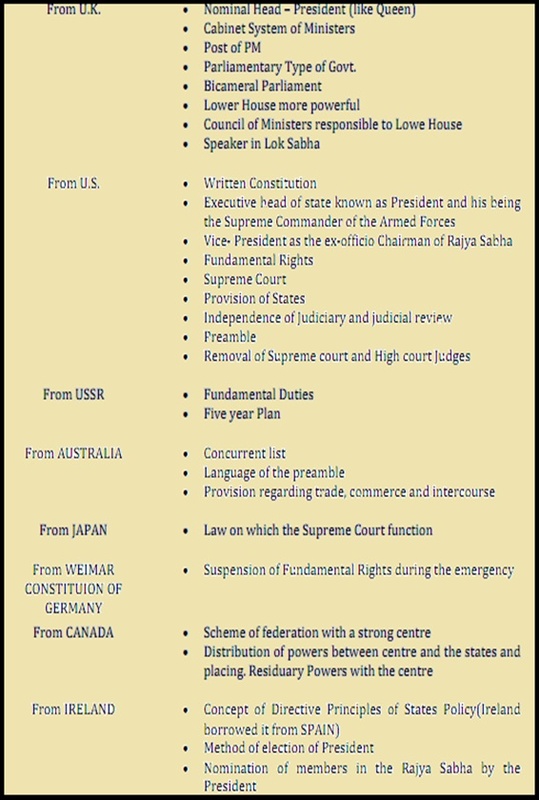 What is difference between Indian constitution and other constitution? Only Indian constitution is written in multiple languages. Why 26th January was choose for Republic day celebration? 26 January was chosen as the Republic day because it was on this day in 1930 when Declaration of Indian Independence (Purna Swaraj) was proclaimed by the Indian National Congress as opposed to the Dominion status offered by British Regime. To remember that day Indian leaders decided to celebrate and remember that day as well along with Republic day. What is the duration for this celebration? 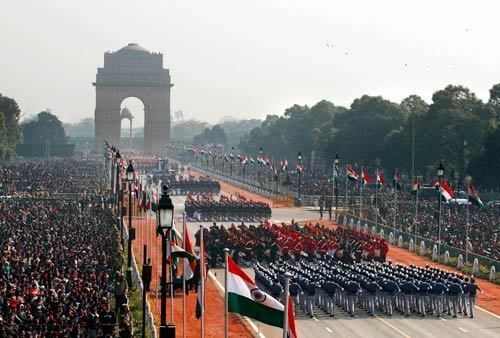 Celebrations end on January 29 with the Beating Retreat ceremony. 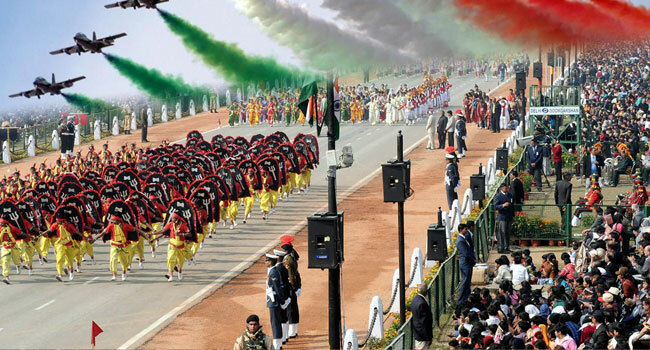 The ceremony is held Vijay Chowk where bands of the Indian Army, Indian Air Force and Indian Navy perform. Which other country constitution studied? Every coin always has two phase. And both are always opposite. In the same way every good has a bad in it and every bad has a good in it. Mall in the city is good for buyers but it is bad for small store keepers. And we have many others examples. I am sharing one funny but true incidence from my life. As I born in business family. My father had one grocery store any many time I used to handle alone shop when my father had to go out for some urgent purpose. One fine day my father went out and I was the incharge for that time. It was a 10 AM in the morning. Lot of customer came and as per routine business followed. But one more thing happened which was first time happened. On that day Lot of agents visited my shop to recover their money. One came from Uniliver, one Godrej and few more. I gave them payment as per their bills and I was quite happy that I walked one more step towards ownership. Every good is not good for everyone and every bad is not bad for everyone. Whenever your role is going to change then for initial days be prepared for surprises. Be ready for extra planning and plan B, C and D. This learning helped me up to some extend because every role has its own challenge's. What was your challenge during role change? What you learn from those challenge's? Every year thousand of digital gadgets and phone comes to the market. Now a days we have digital gadget for everything like running, eating , drinking, calorie meter, reading. Digital gadgets are everywhere. For someone it is need and for some it is showcase. Reality is that from the wake-up till sleep we interact many digital gadgets. It happened so gradually by the that we didn't even realized that when we become so addicted and dependent on digital gadgets. As it happens in every story it start with good but our greed to extract more good from the good convert them in evil. Same thing happened with digital gadgets. Now toxic is coming out from digital. Here this toxic is not physical. But in terms of addiction and reducing out ability to perform without gadgets. Smartphones, laptops, and tablets, combined with the increasing wireless Internet accessibility, enable technology users to constantly be connected to the digital world.Constant online connectivity may have a negative impact on the users’ experience with electronic connecting devices and result in a wish to temporarily refrain from communication technology usage. In one study in Mind, 95% of those interviewed said their mood improved after putting down their phones to spend time outside, changing from depressed, stressed, and anxious to more calm and balanced. Earlier it was a common practice to calculate small stuffs in mind but due to digital gadgets our this ability is getting reduce. Digital gadgets simplified life in many folds but make us less efficient as a human being. Identify all digital gadgets : Identify all digital gadgets near you and ask your self that if that is really required. If more devices then mind want to check more devices if Less devices then our mind want to check less devices. Then automatically less interaction with digital gadgets. Reading book : Try to read physical book instead on Kindle. If you thing it is a wastage of page then in every city there is a place to buy used books. Or create one group to exchange books. If all this is not possible then read on kindle. Reading is important. It generates the ability to write by your own. After reading books I generates the ability to write quotation which I am sharing with on my FB page My Facebook Page Tathastu (So be it). Show your helping hand : Start helping needy people in any way you can. Start giving free tuition or training. Every multinational company has these kind of programs. Family Time and social presence : Plan a family time whenever possible and plan not to use digital gadget as much as possible. If just trip is planned and activity is not planned for the trip then mind will start poking you to use gadgets because you don't have enough activity to do. Form a group of people or join some group and start organize activity in your society or nearby places. Start involving in society meetings, cultural meeting or festival meetings. They are the nice place to interact people and increase screen less time. Your time : Plan some time for you. it can be meditation time or just time when you make your self alone in some room and sit silently. Let thought come out the way they want. Talk to yourself in that time. Writing : Start writing down your memories on paper in just raw language without worrying. You can write as much as you want because you have memories. I wrote down my two stories which gave me life time lessons. Before writing them I didn't even aware about those lessons Stories with lesson learnt. Goal Setting : Set goal for yourself. Weekly 7 hours is good enough to begin the detoxing. 1 hour for each activity. Once 7 hours goal is achieved you may increase your detoxing goal. Kill the Smartphone : Try to find ways to reduce usage of smartphone. There are many easy ways. I have listed down 7 key points which I used to reduce my smartphone addiction 7 ways to reduce smart phone addiction. It is understood that digital gadgets are so important in day to day activity and they really ease some of our work. But at the same-time we have to take care our-self as well so that we an take care our family. 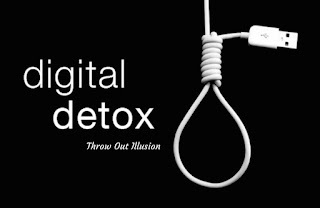 This is best start we can do to make our self stress free with digital detox. Don't keep this information with you. Share in your groups and friends. You may have observe that you are checking your phone again and again although there is no message or notification on phone. This may irritate you many times. You might have thought that it is one bad habit in you. But it is not just bad habit which you might suffering. There are many other people who are having same experience like you. Recent studies and according to researchers at the University of Michigan Institute for Social Research, it’s a sign of addiction and shows this phenomenon is called phantom communication experiences.This shows addition to gadgets and creates a illusion where user checks phone very frequently. The researchers found that participants who rated higher for consciousness and emotional stability were less dependent on their phones and therefore less likely to experience phantom notifications. Like other addiction this addition can also overcome. 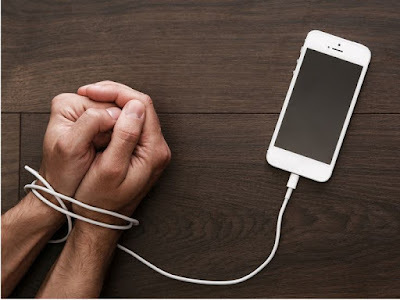 Here I have listed 7 useful ways which I used to reduce my smartphone addiction. It gave me result in 7 days. Night time is time when we browse phone too much. Better if you leave your phone in another room. So your mind will assume that you don't want to browse anymore. I know it can be little tiring as sometime you have to go to another room if real notification arrives. During working hours or sometime of the day turn off internet. By this also mind will assume that you don't want browse phone. Define time for phone browsing and strictly follow that time. Mind will be relaxed because you have allotted time for activity. If possible logout from apps which don't give useful notification. Try engage yourself with the productive and creative activities. Once you are busy mind will not think about smartphone. For writing use notebook. Try not to write in smartphone if possible. Do not use your phone to check the time. Once you unlock phone to check the time you mind want to check all the notification or browse. Bring wall clock or wrist watch. This points are certainly useful but 100% discipline is also required first 7 days. I hope by these points you can overcome on smartphone addiction.